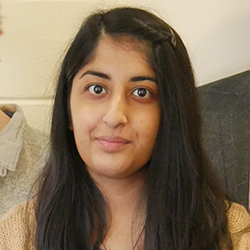 “During my time at College, I have gained a wide range of skills, such as organisational and essay writing skills, which will prove essential when I start university. I have also gained much more independence with the help of my teachers, who have encouraged me to go beyond the A Level syllabus and carry out my own research. Also, the opportunity to continue studying Russian has definitely been the highlight of my time at College, as the small group teaching enabled me to make much more progress than I ever imagined I could.